This is presumably a most popular trek in the Khumbu region for anyone who wishes to enjoy the beauty of the Nepalese Himalayas in a special way while also enjoying an easy trek as the maximum elevation gained in this trek is 3870 meters only and as the name suggest the panoramic views of the Himalayas of Nepal including Tawache, Nuptse, Lhotse, Ama Dablam, Thamserku and Everest are beautifully observed. 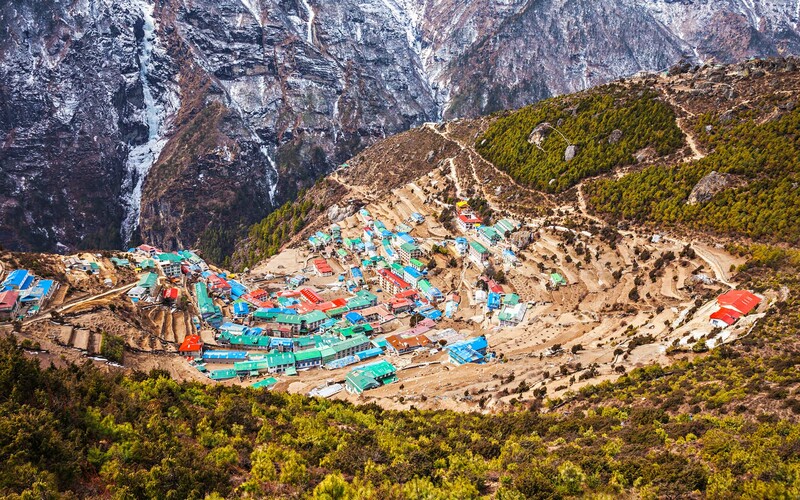 This 12-day trip begin from Kathmandu with cultural tour to UNESCO World Heritage Sites and then from Lukla, trekking through the sub- tropical Pine and Rhododendron forests to Namche Bazaar (3440 mt. 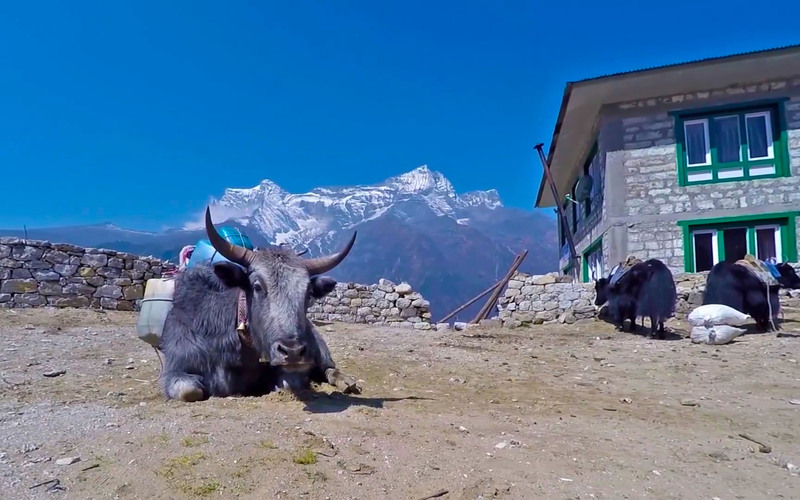 above the sea level) the hometown of the Sherpas, and reaching to the Tengboche Gumba which is situated at 3,867 m and is the largest monastery in the Khumbu region of Nepal. 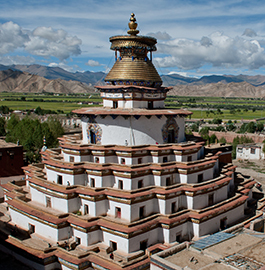 There are more cultural experiences on this trek and unique cultural encounters with the Sherpa people. 3 Star Hotel Accomodation with Breakfast in Kathmandu. Lunch and Dinner in Kathmandu unless mentioned in the Itinerary. Tips to TrekkTips for Trekking Crews, Tour Guide & Driver.ing Crew. Upon arrival at Tribhuvan International Airport (TIA) in Kathmandu, you will be received by our representative and transferred to your Hotel. If arrive early mid-day is free to venture around the city close to your hotel. Introduction meeting at the hotel in the evening. 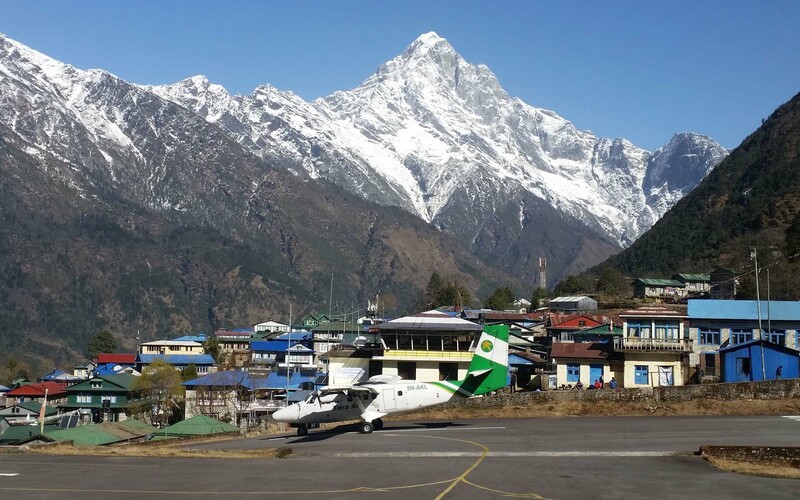 Today’s adventure begins with ascend to the famous airstrip at Syangboche. Simply over the airstrip is the Everest View Hotel from where we can have a very close perspective view of the mighty Everest. We keep trekking to Khumjung village which is surrended by Kondge, Thamserku and the sacred mountain Khumbila. 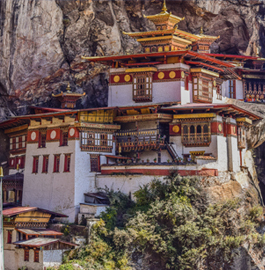 While here, we visit the Edmund Hillary School and Khumjung Monastery (a monastery famous for housing the head of the Yeti!). Overnight in Khumjung. Today we walk downhill to Dudhkoshi River and pass through some beautiful settlement on the way. We go through the forest trail which will take us to a riverbed. Then, we hike for around two more hours through pine and fir forests to reach beautiful village of Tengboche, which is also a home to the famous Tengboche Gumba situated at 3,867 m and is the largest monastery in the Khumbu region of Nepal. 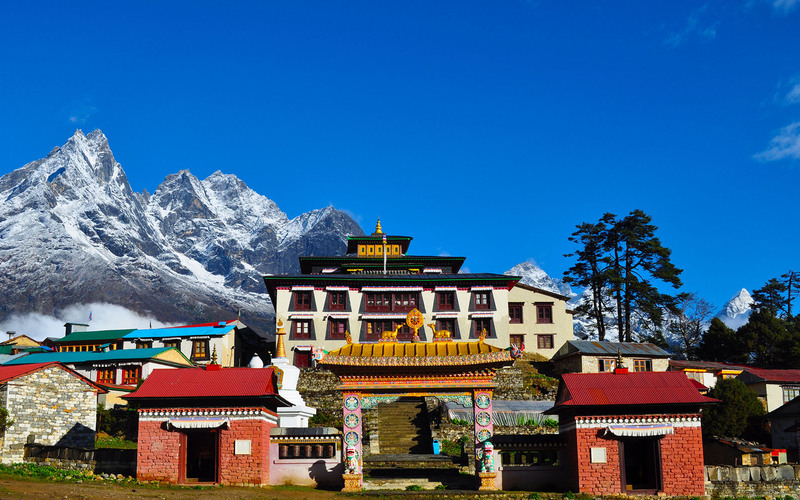 We visit the Monastery and enjoy a breath taking panoramic view of the Great Himalayas, including Tawache, Nuptse, Lhotse, Ama Dablam, Thamserku and Everest. Overnight in Tengboche. 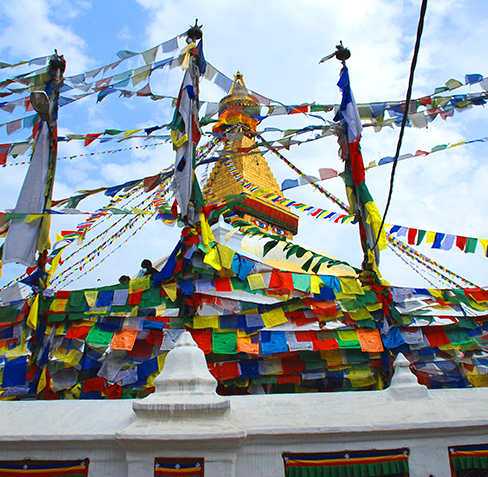 We will be accommodated in a 3-star hotel in Kathmandu and teahouses during the trek. All accommodations are on twin-shared basis. Single supplement will be served on request and will cost an additional USD 299. We will arrange rooms with attached washrooms; however, teahouses in some places only have shared washing and toilet facilities. Also note that single rooms are readily available in Kathmandu and the trekking regions at lower elevation but it might be difficult to find them at higher elevations. Everest Glimpses Trek is an easy trek suitable for passionate walkers who have the ability to walk for around 4-5 hours a day with a light day-pack. Exercising and jogging regularly for a few weeks prior to the trip is good idea to enhance strength and stability. Past hiking experience would be an asset but no technical skill is required for this trip. Participants with pre-existing medical conditions such as heart, lung, and blood diseases should inform Himalayan Glacier before booking the trek. We also recommend that you consult your doctor(s) before the trip.